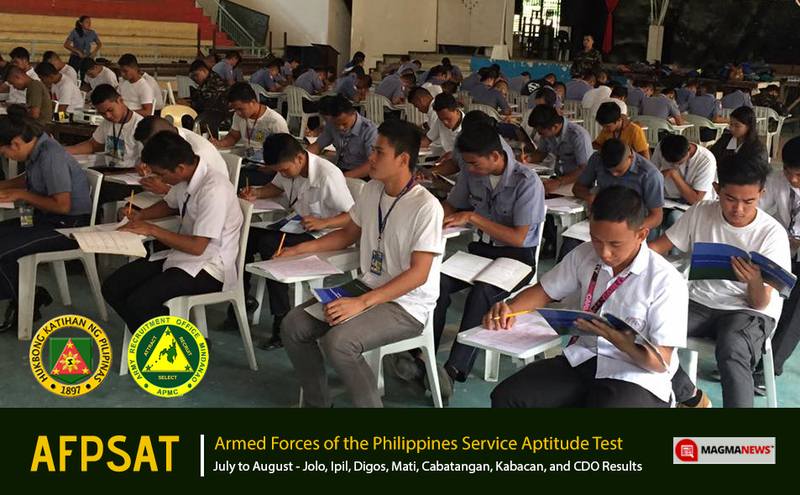 July - August 2017 AFPSAT Results Mindanao - AROMIN - Exam News, Reviewer, Military Career, & Everything [MN] . . The Army Recruitment Office of Mindanao or AROMIN has released the results of the Armed Forces of the Philippines Aptitude (AFPSAT) conducted from the month of July to August at designated military testing centers in Mindanao region. Below are the results of the AFPST by venue and dates. Congrats to all passers! You're one step closer to your dreams as aspirant soldier of the republic!